Klassieke grandeur - Grand Hotel Majestic "Già Baglioni"
Beoordeling van Grand Hotel Majestic "Già Baglioni"
Stel 674arijb een vraag over Grand Hotel Majestic "Già Baglioni"
Thank you for the preference accorded to Grand Hotel Majestic "già Baglioni" during your last stay in Bologna and for the time spent in reviewing your experience! I would like to thank you for the nice words spent about our property, located in the heart of Bologna, five walking minutes from the main square. It is a great source of pride to read that you have appreciated the beauty and the elegance of our '800 century palace. Thank you so much also for kind words about the room that you find elegant and in the same classical style as the hotel. I am more than glad to know that the service was friendly and helpful. I will share with all the members of our staff your nice words, I am sure they will be honoured. 0,3 km van Grand Hotel Majestic "Già Baglioni"
2,1 km van Grand Hotel Majestic "Già Baglioni"
5,3 km van Grand Hotel Majestic "Già Baglioni"
0,7 km van Grand Hotel Majestic "Già Baglioni"
0,4 km van Grand Hotel Majestic "Già Baglioni"
1,3 km van Grand Hotel Majestic "Già Baglioni"
1,0 km van Grand Hotel Majestic "Già Baglioni"
3,7 km van Grand Hotel Majestic "Già Baglioni"
5,5 km van Grand Hotel Majestic "Già Baglioni"
3,8 km van Grand Hotel Majestic "Già Baglioni"
Stel Saskia d een vraag over Grand Hotel Majestic "Già Baglioni"
thank you so much for the preference you had for the Grand Hotel Majestic "già Baglioni" during your last stay in Bologna and for sharing your experience. It is a real pleasure to read you appreciated our service and the attention of our staff who every day works with passion, commitment and professionalism to let our guests have a perfect stay at our property. I am sorry, on the other hand, to read you did not be satisfied about our room but allow me to inform kindly you different rooms' categories are available. Please, would you be so kind also to take into kindly consideration we've just made renewal works to let our establishment be always renovated. Stel Aico12345 een vraag over Grand Hotel Majestic "Già Baglioni"
First of all, I would like to thank you for staying at the Grand Hotel Majestic “già Baglioni” during your last stay in Bologna and thank you so much for your feedback regarding your experience with us. I am really sorry to read your room and our small wellness area did not met your expectations. Please, let me inform you we are always glad to change the assigned room in case of this one doesn’t meet our guests' taste and when our guests let us know their disappointment. We every time do our best to guarantee our best services and negative feedbacks are a very important source to let us improve our services. On the other hand, we are happy to know that you have enjoyed your stay anyway. I really hope to welcome you again to the Grand Hotel Majestic “già Baglioni” in order to let us show you the best of our rooms. Kamertip: neem niet direct genoegen met de eerste de beste kamer, maar vraag de staf om er enkele te laten zien en bepaal daarna de keuze. Stel a_van_geest een vraag over Grand Hotel Majestic "Già Baglioni"
Thank you so much for your preference you accorded to the Grand Hotel Majestic "già Baglioni" and for your time spent to review your experience with us. I will share your so positive feedback with every member of our staff who always works with passion and commitment to let our guests have a memorable experience with us. 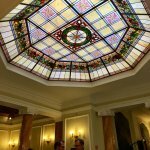 Wij hebben een geweldig verblijf gehad in Grand Hotel Majestic. De kamer was heel comfortabel, groot, heerlijk bed, mooie badkamer en uitzicht over de stad. De locatie is ook heel fijn, je bent echt in hartje-Bologna en alles is op loopafstand. Het ontbijt is heerlijk, leuk dat je ook de optie hebt om buiten te zitten. De service is ook geweldig, vooral bij de receptie zijn ze super in het geven van restaurant-tips waardoor je bezoek aan Bologna nog leuker wordt! Zeker een aanrader dus! Kamertip: Kamers met balkon zijn super! 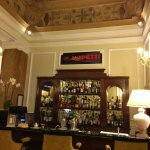 Stel Nina v een vraag over Grand Hotel Majestic "Già Baglioni"
thank you so much for the preference you accorded to the Grand Hotel Majestic "già Baglioni" in Bologna and for your time spent to review your experience in our TripAdvisor web page. I am really glad to know our property met your expectations and you had a pleasant stay with us. Thank you for your so kind words regarding the room you have been assigned and it is also a pleasure for me to know you enjoyed our central location, in the heart of the city, easily walkable to the main down areas of Bologna. I would like also to thank you for the positive comment you made for our staff; it is a pleasure to know they satisfied your requests and gave you all the infos you needed. I will share your positive feedback with all of them and I am sure they will be happy to know they reached their daily mission. Betreft een mooi hotel middel in de winkelstraat en op geringe afstand van de belangrijke bezienswaardigheden. Voor de Bourgondiër is het restaurant en ambiance zeker een aanrader. Wat mij betreft 5* als iets kleiner was geweest. Hierdoor was de vaste douche te laag en het bed net te kort. Desalniettemin 3 heerlijke nachten gehad in dit vriendelijke en perfect onderhouden hotel. 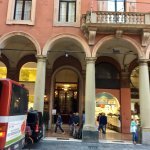 Als je er wat euro's voor over hebt zou ik dit hotel in bologna aanraden. 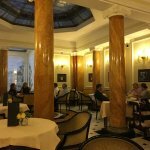 Stel CvA1970 een vraag over Grand Hotel Majestic "Già Baglioni"
I would like to thank you for choosing Grand Hotel Majestic "già Baglioni" and for the time you spent for sharing your experience on TripAdvisor. I am glad to know your stay was good and you enjoyed the days spent here. My Staff and I are always ready to satisfy all the requests of our special Guests this is the reason why we always invite them not to hesitate to ask directly to us for any needs or necessities and for any unlikely inconvenient occurred. Hoping to see you soon and welcoming you again as soon as possible, best regards.